With your wedding day drawing near why not take this fantastic opportunity to indulge in your one and only ultimate fantasy – To travel in the world’s most famous sports cars of all time! With Special Day Cars based in Milton Keynes you can experience the most thrilling journey to your ceremony available for chauffeur driven wedding car hire. There has never been a car with more character, class or charisma than an Aston Martin. This is perfect for the groom in Milton Keynes . It will create great photos and a great experience. 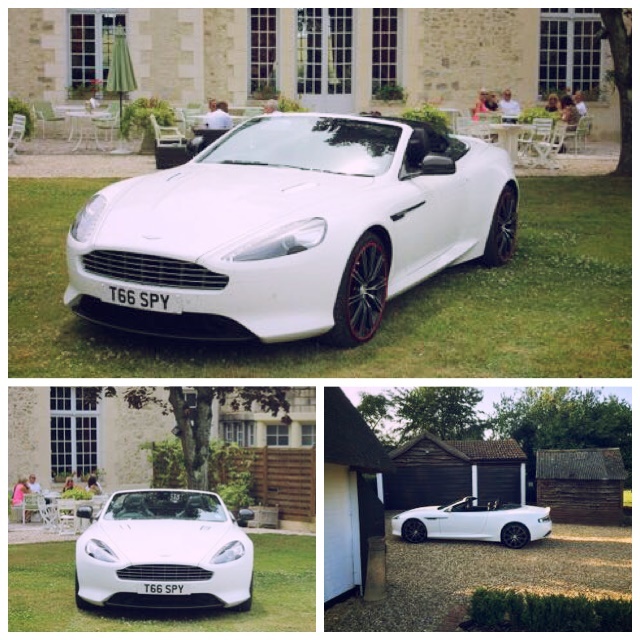 The Aston Martin never fails to engage attention, so you feel like a film star on your arrival. Being right here in Buckinghamshire, we are proud to be in the place where many Astons began. Evolutionary developments were made right here at Astons Newport Pagnell works. The first DB5 prototype was in full swing here and here was where the development continued. When the Aston Martin’s iconic predecessor, the DB5 was unveilled in 1963 who’d have thought that it would mature into such a fascinating and exhilarating car? The Aston Martin is a spectacular car for your chauffeur driven wedding car hire in Milton Keynes , but not the only supercar we have available. As popular as the Aston is the Porsche, Ferrari, Bentley and Mercedes. All are remarkable chauffeur driven cars for the groom. With Bentley’s strive for perfection you cannot go wrong with a chauffeur driven Bentley Wedding Car for the groom. The pleasing aesthetic refinement gives great luxury, making a perfect drive that can be savoured. The Ferrari being a true thoroughbred is both eye-catching and better than any other supercar in its class. 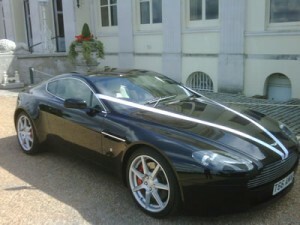 You would feel amazing stepping out of our stunning chauffeur driven Ferrari’s on your Milton Keynes Wedding Day. A Porsche will be your most invigorating experience yet and will be the most memorable and unmistakable ride of your life. Which ever groom’s car you choose from our Milton Keynes chauffeur driven wedding car selection – each will create long lasting surprise for your guests, excitement for yourself and adoration and envy from all you pass by. Travel in chauffeured style and luxury in the worlds finest hand built sports cars of all time with Special Day Cars in Milton Keynes.